Every few weeks I imagine an Android-powered portable gaming device that’s a standard smartphone with built-in Nintendo Switch-like buttons. 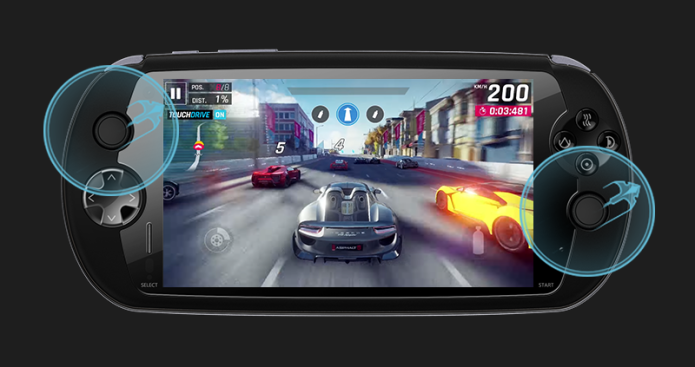 While we’ve seen numerous attempts at similar portable game systems in recent years, none of these Android handheld gaming devices have really panned out. Going back to the early 2000s, even Nokia’s gaming-focused N-Gage cellphone handheld was a complete failure for the smartphone maker. Fast-forward to 2019 and Moqi, a sub-brand of Chinese gaming company Snail Digital, is diving into this product category with its own device. 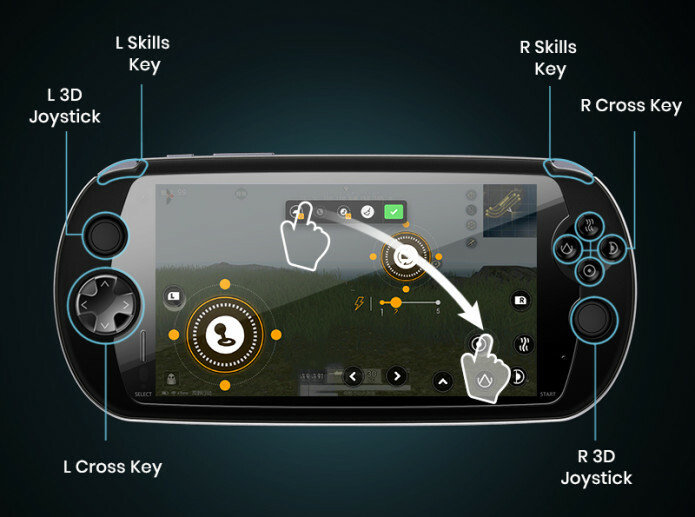 The Android-powered handheld looks like a PlayStation Vita thanks to the device’s oval shape and the location of its buttons. Android Authority says that the new Moqi is an updated version of a similar device Snail Digital released back in 2017. Regarding technical specifications, the Moqi features a Qualcomm Snapdragon 710 processor, 6GB of RAM and 64GB of built-in storage. The device’s 1920 x 1080 pixel resolution display measures in at 6-inches. Other features include a 16-megapixel rear camera, a 5-megapixel front-facing shooter and Android 8.1. The phone even includes dual SIM support. Button-wise, the Moqi features two analog sticks, a D-Pad, ‘X,’Y,’ ‘A,’ and ‘B’ buttons, as well as Left and Right ‘Shoulder’ and ‘Select’ and ‘Start’ buttons. The Moqi’s robust button selection means that the handheld will not only be compatible with all controller-supported Android games but that it also should work with a wide range of emulators, even extending to more recent consoles like the Nintendo 64 and PlayStation. It also includes a liquid cooling system that keeps the device running at peak performance, says Snail Digital. The Moqi’s battery is perhaps its most impressive spec, with it coming in at a sizable 6,000mAh that’s surprisingly swappable and includes Quick Charge 3.0 compatibility. Of course, the handheld also features a 3.5mm headphone jack. The Moqi is currently available for pre-order for $399 USD (roughly $530 CAD) on Indiegogo with a March shipping date. The full retail price is listed at $699 USD (roughly $926 CAD).